Progress is easier to see in retrospect | Handful of Health | Health, Fitness and Happiness, one handful at a time. Posted on June 6, 2017 June 5, 2017 by elaine! Welcome, dear reader, let’s travel back in time and review some progress as I’ve missed a few weekly journal entries. Since my last update, we had our annual Bikram yoga experience; a nice, long Memorial Day weekend; and yesterday completed our first Mackay Stadium workout at UNR, including the iconic running of the bleachers! In the past three weeks, I’ve made what I consider to be very good progress on my individual techniques, including troubleshooting my rolling and falling. 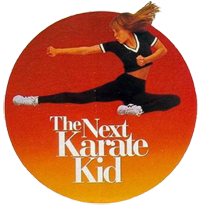 I’m starting to narrow down my to-do list to my “big checks,” which each consist of all the little checks together in one piece — all the thai combos and boxing rounds; or all of the kicking and kick combos; or all of the forms back-to-back. As time passes, I’m becoming more concerned with my fitness capabilities. My baselines are mostly increasing at a steady rate, but it’s a slow climb and I’m concerned that I won’t improve enough to meet my goals in time. Plus, a strong cardio base is essential for my ability to power through events like Mackay and big check testing without triggering asthma. Previous experience indicates that my body responds well to consistent training, so I’m trying not to stress about it too much, but I don’t have very good notes of my training regimen for my first degree, when I arguably had a lighter career workload to contend with. Am I training as much as I did in 2015? More? Less? It’s hard to tell, but this week I’ve decided to double down. I’ll be using the 100 Pushups program again, and next week Run Club moves to a day I can easily attend, so I’m guaranteed one awesome track workout per week. Jiu jitsu checklisting has been incredible. Laying out my creative complementary submission combos definitely changed the way I approach my grappling rounds. I’ve been using it as a way to bring back techniques that we covered in classes or seminars that I was never able to fully integrate, which has been very gratifying. (I hate learning a useful technique just to lose it to my colander-like memory banks.) The back takes section also filled in a vacant spot in my game that is already coming in handy, since this week in jiu jitsu is Iron Maiden week. Can’t practice back control if you don’t know any back takes, you know? Even sparring is starting to come together more for me. With the help of some friends, I realized that I was jumping into working on my assertiveness in rounds with disregard to my weaknesses in other areas: Specifically, covers. My sparring partners have been patient with me spending rounds primarily focusing on head movement, parrying and covering. While I have an embarrassingly long way to go for a second-degree candidate (expectations! coming soon to a journal entry near you), my ability to defend my own face is improving swiftly, so maybe I can integrate assertiveness more in the weeks to come, as that was my initial goal for all of our live work, including both sparring and grappling. I’m very interested in how this will all come together near the end of our testing period! I have high hopes, but I can’t afford to be complacent — after all, my greatest regret for my first degree test was being told that in my final boxing grading, I wasn’t turning my flippin’ hips! Rookie mistake, much? So did the 100 Push-ups program work for you? They are my nemesis. I’ve read about it but never actually done it. I always tried to do something else related to it, but in the end if you want to get better at push-ups, you do push-ups. Last year I only sorta used the 100 Pushups program and was able to get 42 pushups, which was a lot for me, considering that maybe 10 years ago I could only do three from knees. This year I’m actually combining the 100 Pushups program with focusing on my pushup form. There’s a guy on YouTube/Reddit named Antranik who has really good videos that improved my form, which I think is helping improve my reps. Which kind of goes back to just doing pushups, doing other stuff doesn’t help your muscle memory for the pushups themselves!